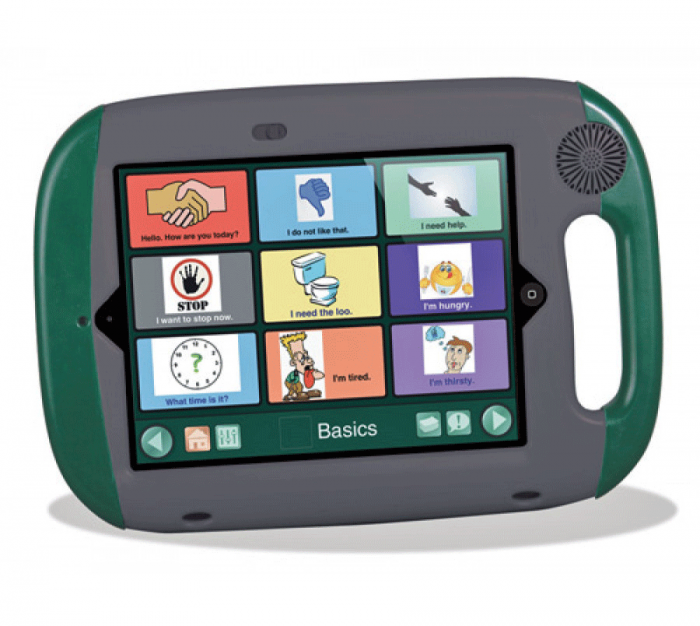 GoTalk Dynamic is a complete AAC solution ideal for communicators of any age or experience level. 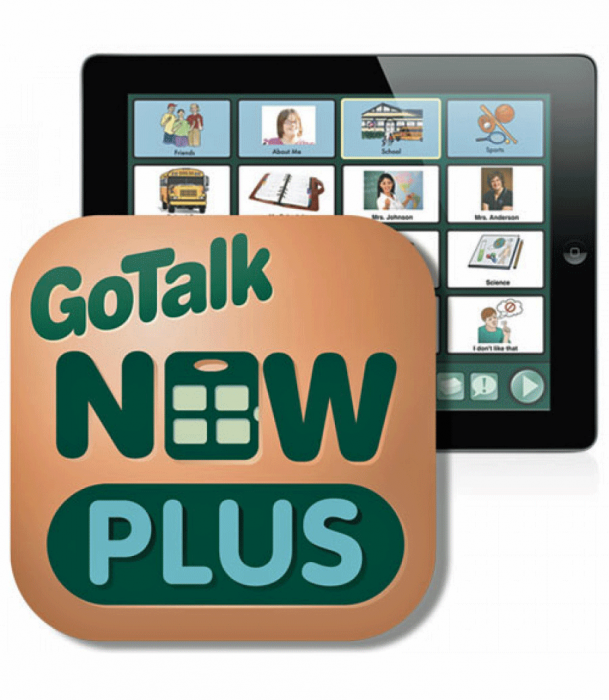 The versatile and powerful GoTalk NOW Plus App gives you everything you need in an AAC app, including the SymbolStix library, 7 Acapela® text-to-speech English voices, and Ready-Set-Communicate in-app communication book. The rugged case has a built-in handle with sure-grip lining, a high-impact exterior with rubberized edging, and a patent pending design that makes the iPad three times as loud. Case accessories includes a reversible CoverStand, a Screen Protector, and an adjustable Shoulder Strap. The iPad makes the GoTalk Dynamic an all-in-one purchase. Save time! 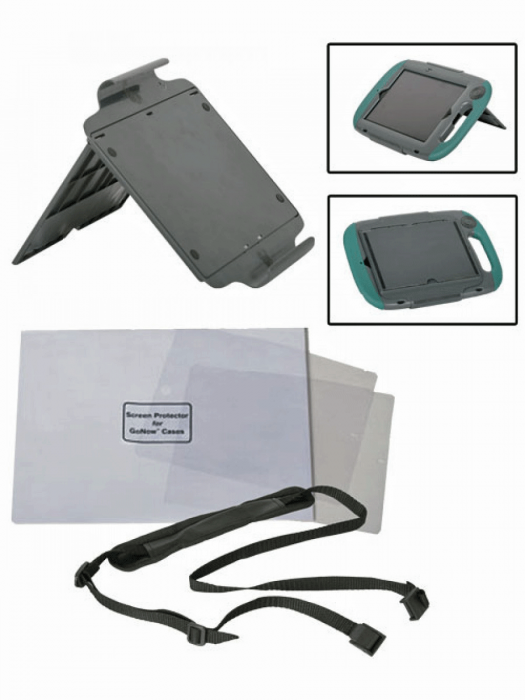 No need to shop around for an iPad, AAC app, and a protective case! Great app! 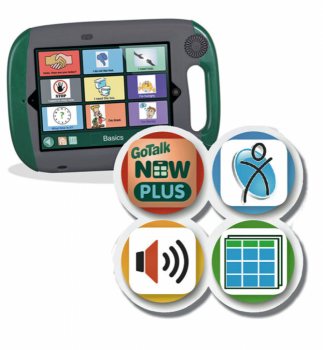 The GoTalk NOW Plus is simple yet powerful, plus its flexibility lets you easily integrate classroom instruction into your communication pages. Relax! We won’ t leave you hanging. We're delighted to teach customers all about GoTalk Dynamic.